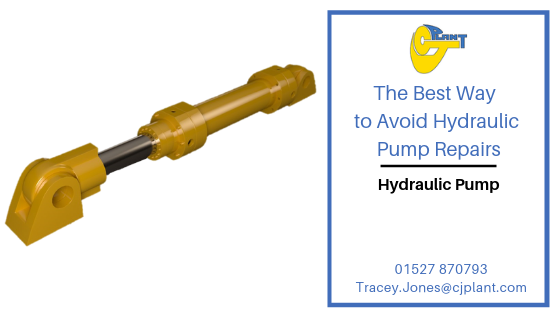 The hydraulic pump, for many factories, is the beating heart of the manufacturing system and a frequently asked question is what is the best way to avoid hydraulic pump repairs? Hydraulic pump failure can cause many problems, resulting in shut down time, loss of income, not to mention unnecessary costs to fix issues that might easily have been avoided with proper care and attention. Examining types of plant maintenance and plant machinery repairs can mean the difference between a workplace that runs like clockwork and is always fully operational, to one that functions below par and is a drain on resources. In order to avoid the issue of Hydraulic Pump Repair, it’s helpful to know how to spot if your hydraulic pump is failing and what might cause them to fail in the first instance. Is Your System Too Noisy? It’s true that all mechanical systems will make noise to some degree. Hydraulic systems are no exception to this rule. However, if you notice loud banging or knocking and that begins suddenly or has got progressively louder and more persistent, then there is a high chance that there could be aeration or cavitation in your hydraulic system, which could ultimately lead to pump failure if not repaired promptly. 2. Is your Hydraulic System operating at Too High a Temperature? The recommended temperature for hydraulic systems is eighty-two degrees Celsius. If your hydraulic system exceeds this on more than one occasion or appears to be operating at too high a temperature permanently, this could possibly be caused by debris building up in the filters which then prevents heat from properly dissipating. This is an issue that needs to be fixed very quickly. Over time high heat can damage your system. 3. Is Your Hydraulic System Running Too Slowly? Take note of how fast your system is operating. If it isn’t running as quickly as you would expect then there is more than likely a problem that will require construction equipment repair services. A hydraulic system that runs too slowly means there is a lack of flow, which can then lead to internal leaking. What Causes Hydraulic Pumps To Fail? This is one of the major reasons for hydraulic pump failure resulting in the need for hydraulic testing equipment to be used. Fluid contamination is an invasion of the hydraulic fluid by foreign materials. Hydraulic pumps and valves are simply designed specifically to carry hydraulic fluid. If there is anything else introduced into the system, it will damage it. There is also the real risk that these foreign bodies might stay in the system and cause continued damage to the pipes and the valves. Aeration of the hydraulic fluid can cause issues when it is put under pressure from the pump. This can cause an implosion which could dislodge debris. In turn, this will create contamination and cause the temperature of the pump to rise. This is a situation in which the hydraulic fluid won’t fully take up space in the pump. It happens when there is an unusually high viscosity of fluid, which is often caused by an overfast pump or an intake line that is too long. If left unchecked, it can cause similar problems described above in the section on aeration. Another huge problem can be caused by overheating hydraulics. Overheating can degrade hydraulic fluid, compromise the hydraulic motor system and damage the seals. The sensitivity of a hydraulic pump system means that requires very specific conditions in which to operate. These include pressure levels. Over pressurising the hydraulics will put undue strain on the system and will cause it to fail much more quickly. The simplest and easiest way to stop your hydraulic system from failing is to keep it clean and well maintained. The contamination of fluid in the system is the main reason hydraulic pumps fail. Keeping your system free of contaminants is the best solution to achieve healthy hydraulics. Using high-quality filters, which are inspected and changed regularly and making sure there is regular and adequate hydraulic testing is the best and safest practice. Keeping the system components cool is another sure-fire way of keeping your system up and running. Systems that overheat can create real issues, and often the effects are not noticed until it is far too late to do anything about it. As well as keeping the system cool, it is important to continually monitor the pressure in the system too and make sure it is kept to the right specifications. A hydraulic pump that is well maintained can last a very long time indeed. There are many issues that can occur with such systems but with proper care, testing and maintenance these can be avoided. Having a well run system can make a huge difference to any business that relies on this type of technology. If there are issues or problems do develop with a hydraulic pump system, the best thing to do is act swiftly and quickly. Have a professional inspect it as soon as possible and report to them any parts you have noticed issues with, or think might be failing. The longer a hydraulic system goes without repair and attention, the worse the failure will be when it occurs. If you’re looking for hydraulic repair specialists then why not give CJ Plant a call? We are hydraulic repair specialists that focus on the repair, rebuilding and maintenance of Hydraulic Pumps. If your plant and your machinery is down, then you’ll require speedy evaluation and diagnosis, not to accurate and competitive costings, followed by quick repairs and maintenance all completed in a short time frame to make sure there is as little downtime as possible. Contact us today at https://www.cjplantmaintenance.com/services/ for more help and information on what we can offer you.